Arrowhead Violet is a hairless perennial herb, 8-20 cm tall. 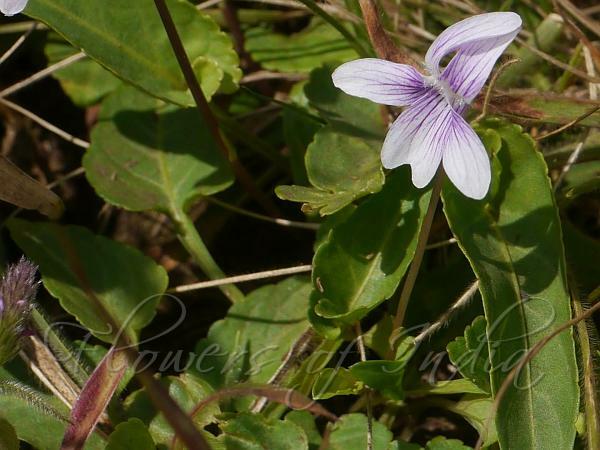 Its flowers are quite similar to Himalayan White Violet. It is usually distinguished by its lanceshaped or spear-shaped blunt leaves which have a cut-off base abruptly narrowed to a winged upper part of the leaf stalk. Flowers are violet or lilac, with darker veins, 1 cm across, with a broad spur. Leaves are variable, usually 2-4 cm long, mostly with shallow blunt teeth, sometimes with a shallow heart-shaped base. 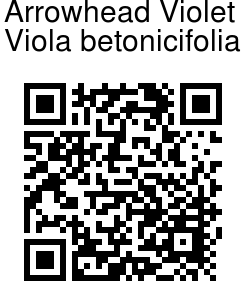 Arrowhead Violet is found in the Himalayas, from Pakistan to SW China, at altitudes of 1000-3000 m. Flowering: April-May. Identification credit: Gurcharan Singh Photographed at Shirui Hill, Ukhrul, Manipur.